Data from the most recent face-to-face British Election Study (BES) survey provide further evidence of sharp intergenerational divides over values and policy preferences. The findings of the survey, which was conducted in the aftermath of the 2017 General Election, helps to develop a picture of Britain’s young people holding sharply contrasting social and political attitudes in comparison to the oldest in society. With Brexit continuing to dominate the political agenda, the BES survey reinforces the existing image of Britain’s young people being more pro-EU. When respondents were asked how they voted in the 2016 UK referendum on EU membership, the lowest percentage for voting Leave was among 18-24 year olds (21.0%). The highest levels of reported support for leaving the EU can be found within the 65-74 and 75-84 age groups (56.5% and 56.4% respectively). When respondents were asked how they would vote in the event of a second referendum on EU membership, 64.3% of 18-24 year olds answered that they would vote for the UK to remain in the EU. In contrast to this, only 27.7% of 75-84 year olds stated that they would do the same. Similar patterns are demonstrated when respondents are asked whether the British people should have a say on the final deal with the EU. While 62.4% of 18-24 year olds are in favour of this, only 28.2% of 75-84 year olds would like a referendum to be held on the final deal once the Brexit negotiations are concluded in March 2019. Intergenerational divides are extended when examining attitudes regarding European integration and the UK’s future relationship with the EU. One particularly interesting survey item asked respondents to place themselves on a scale of 0-10 measuring support for the UK’s integration with the EU’s institutional framework. In this case, 0 represents “Britain should do all it can to unite fully with the European Union,” while 10 represents “Britain should do all it can to protect its independence in the European Union.” The highest support for the most “integrationist” option (zero) was found among 18-24 year olds, while the highest level of support for the most “separationist” option (ten) was found among 75-84 year olds. The intergenerational chasm is further demonstrated when looking at attitudes towards immigration. Another EU-related survey item asked respondents to place themselves on a scale of 0-10 measuring what should be prioritised by the UK in negotiations with the EU: access to the single market traded off against having full control of national borders. In this case, 0 represented “full access to the single market”, with 10 representing “full control of immigration”. Support for the most protectionist option (ten) was particularly high among those aged 85 or over (36%), 75-84s (26.2%) and 65-74 year olds (26.3%). The lowest level of support for this option was found among 18-24 year olds (14.0%). Respondents were also asked whether they felt “too many immigrants” have been “let in” by the UK, with the choice of responses being “yes, too many” and “no, not too many”. The highest percentage for the second option – the more “relaxed” attitude towards immigration – was found among 18-24 year olds (44.6%). Conversely, just 17.3% of 75-84 year olds and only 12% of those aged 85 and over, felt the same way regarding immigration. The 2017 BES face-to-face survey also includes two interesting items related to the UK’s defence and international development policy. The two items examined attitudes towards government expenditure on defence and foreign aid, asking respondents whether spending should be reduced in these policy areas. Responses to items were measured on a 5-point scale: “definitely should”, “probably should”, “doesn’t matter either way”, “probably should not” and “definitely should not”. When it comes to reducing defence spending, there are noticeable intergenerational differences. Looking specifically at the most “protective” response, 45.3% of those aged 85 and over, along with 40.1% of 75-84 year olds, felt that defence spending “definitely should not” be reduced. The relevant figure for 18-24 year olds is only 17.2%. In regard to foreign aid, 42.1% of 18-24 year olds felt that foreign aid spending “definitely should not” or “probably should not” be reduced. The corresponding figure for over-85s is just 12.0%. Indeed, 47.5% of 75-84 year olds felt that foreign aid spending by the UK government definitely should be reduced. The corresponding figure for this particular response among 18-24 years is only 12.7%. The recent BES survey data provide an interesting picture of the intergenerational divides in values and policy preferences between Britain’s youngest and oldest people. Britain’s young people are certainly at odds with their grandparents on a number of fronts. They are far more likely to support British membership of the European Union and are the age group most fond of the idea of Britain being “fully united” with the EU. 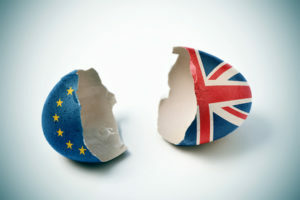 Therefore it is little surprise that people within the youngest age cohort are the most enthusiastic over the possibility of there being a referendum on the final UK-EU Brexit deal (perhaps with the hope that this will eventually result in the UK continuing with its membership of the EU). In regard to immigration, Britain’s younger people are the most relaxed over recent levels of inward migration into the UK. The older age cohorts place a far stronger emphasis on Britain having “full control” over immigration and its borders. The young and old are diametrically opposed when it comes to defence and international development spending preferences. While older people are considerably more protective over defence spending than the young, the opposite is the case for government expenditure on international development. In regard to winning over young voters, this poses particular difficulties for the Conservative Party. While the Conservatives are able to solidify their traditional “grey” support through nationalist-authoritarian policies, such a policy agenda is likely to limit their appeal among younger voters living in more urban, metropolitan, pro-EU areas characterised by cultural diversity – voters that they are very likely to need in order to win large, working parliamentary majorities in the future.